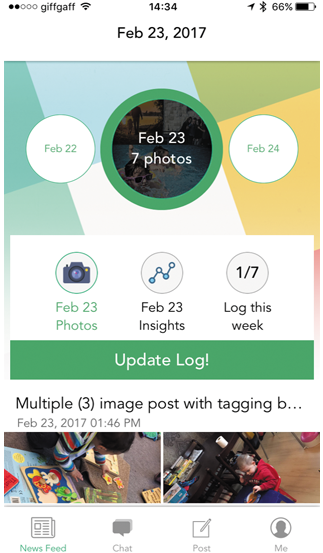 The Childminder (beta) App helps childminders and parents to stay connected. 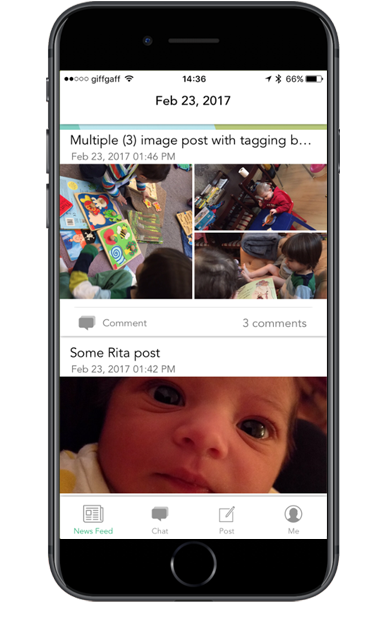 Childminders can share each child's photos, activities, food diaries and other vital information about the children to the parents and carers. Parents and childminders can also directly chat to each other via the chat interface making communication easy and all in one place. The app is in beta while we fine tune the app further. Soon we will be adding a lot of useful features to record each child’s development for Ofsted reports, an easy way to send/pay invoices, and an attendance record.